My brother-in-law gave me his old utility trailer a couple years ago. It is amazing. It can haul a good amount of stuff, yet it costs a fraction of the price of owning a truck. Of course, it does take up a good amount of space, too. If you’re like me and have sacrificed your half of the garage for project storage, then this is a problem. The trailer gets the primo spot in the driveway while you’re stuck parking behind it in no man’s land. There has to be a better way. Well, there is. It’s called parking the trailer in the grass. Some cities prohibit this behavior. Luckily, not mine. At my house, there is only one good space for such parking. That’s on a hill on the side of my garage. It’s not Mount Everest over there, but it is a 9 degree slope. That’s steep enough to make me fear wheel chocks slipping loose, leaving the trailer to fulfill its lifelong dream of becoming a battering ram for my deck. Can a trailer be parked on such a slope? Internet research revealed few answers. Most Google search results talked about motor home trailers, not little utility trailers. 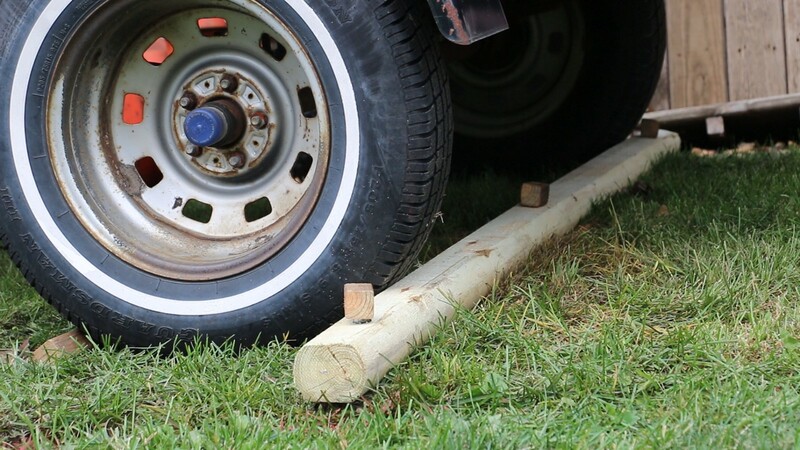 So I came up with one solution: A DIY parking block, staked into the ground to prevent slippage. You’ll find the $30 version of this in parking lots across the world. Mine cost $4 and looks much like a landscaping timber you can buy at Ace Hardware. Watch the video above to see the results. For those on slow internet connections, find spoilers below. Don’t forget to get your underground service lines marked before pounding anything into the ground; you’d be surprised how shallow those can be. 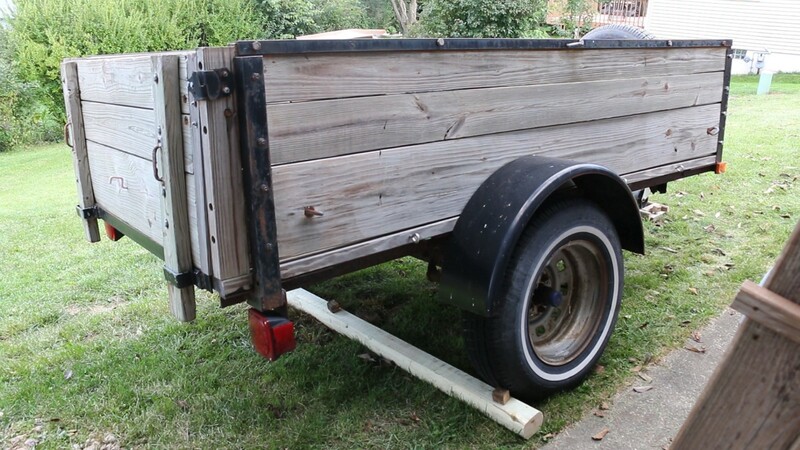 Next, I built a parking pad for the trailer tongue jack. One foot-long 1x6 board formed the base, while four 6-inch-long-ish 1-inch pieces were screwed to the top and sides to form an enclosure of sorts. This barrier would keep the trailer from rotating and rolling down the hill from the front. It also was staked into the ground with two conduit stakes. 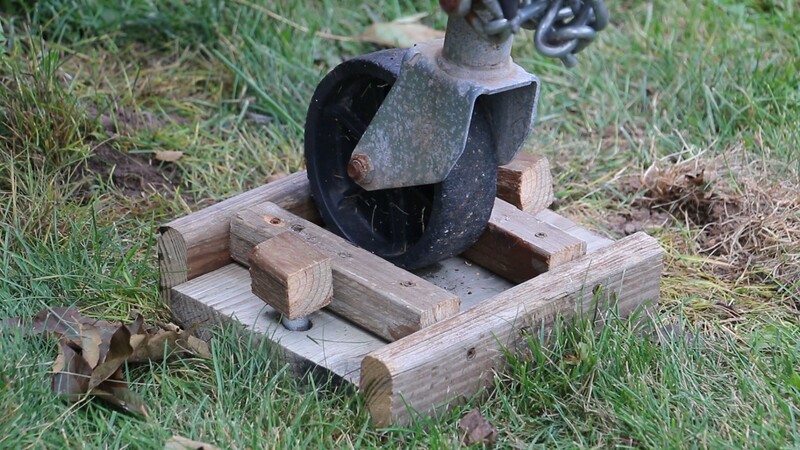 To finish it off, I capped the stakes with rectangles of deck wood to protect passers by from scrapes and kicked some blocks under the fronts of the wheels to prevent forward travel, just in case. A few months later, I’m still happy with the result. The trailer really feels secure despite the slope. One negative is that you have to really be lined up when backing in the trailer. 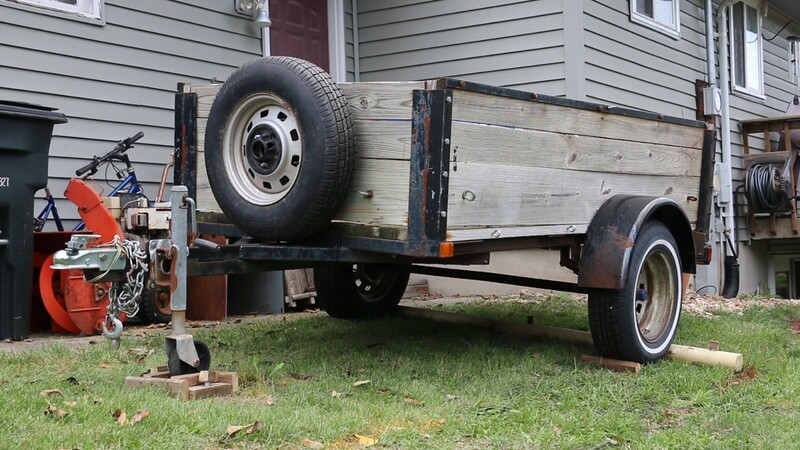 Normally, you could put the trailer wherever and kick the chocks into place behind the wheels. But with the parking block, the tires have to line up just right to hit the back timber, while the tongue jack has to line up with the pad in the front. This is quite manageable, however, especially if you’re only using the trailer on occasion, like me. For now, the trailer remains in its perch. The driveway remains clear. DIYer, Project Lab. Web-editor-type, Lee Enterprises. Dad/husband. @djnf, @theexponentnews, @uwplatteville alum. Seeking best obtainable version of the truth. Successes - and failures - on a variety of projects.